Philip A. Mahoney, 81, died Friday, March 15, 2019. Funeral, Tuesday, 7:00 PM, Forest Hills Baptist Church, followed by a time of visiting and sharing. Interment, Wednesday, 10:30 AM, Evergreen Memorial Park. After spending most of his early years in Tennessee, Phil relocated his wife and two daughters to Wilson in 1968. He invested 35 years combined at Central Soya and Perdue Farms before starting his own business, Phil's Home Improvement. At 81, he had never retired and was working daily. Over the years in Wilson, he was dedicated servant of the church. He played a significant role in the building committee of Five Points Missionary Baptist which became Forest Hills Baptist Church. Phil enjoyed sharing good times and stories with his family and friends. His playful nature and sense of humor will surely be missed. 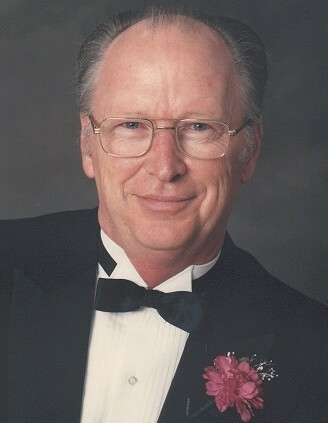 Surviving is his wife, Nan Nunley Mahoney; daughters, Susan Barnes (Keith) of Wilson and Karen Barton (Darrell) of Cary; grandchildren, Paxton Barnes (Morgan), Kenan Barnes (fiancé, Michael Gardner), Daniel and Audrey Barton; great-grandchild, Nolan Philip Barnes; numerous nieces and nephews. He was preceded in death by his siblings, Bob Mahoney, Jennie Clayton, J.C. Mahoney, Ruby Duggan, Junior Mahoney, Euel Mahoney and Paul Mahoney. Memorials are suggested to Forest Hills Baptist Church, 1407 Forest Hills Rd, NW, Wilson, NC 27896.